Tomorrow is a very special day in the history of the Justin Graves Band. Actually if tomorrow had never happened there would be no Justin Graves Band! Thirteen years ago, on May 13, 2002, I made a commitment that would change my life forever. I said 'Yes!' to an amazing woman and pledged to be her husband. Yep, that's right! 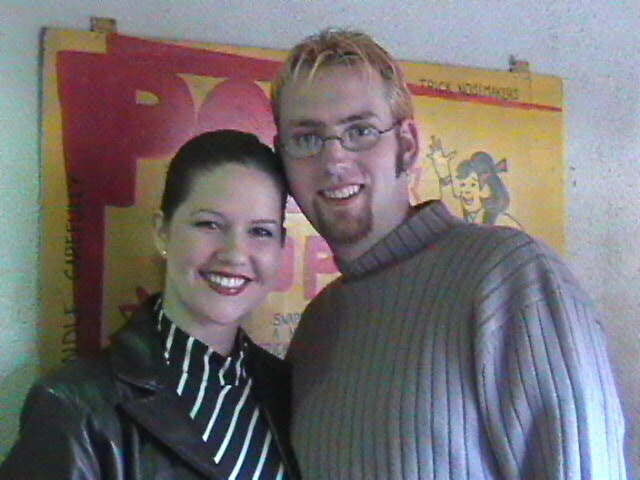 Michelle and I got married thirteen years ago tomorrow! I just wanted to write this post to let you know how amazing and faithful God is. Michelle and I have a wonderful life, but like everyone we have had our share of good times and hard times. We have seen the world together. We have felt the thrill of victory and the crushing blow of defeat. We have laughed until we cried and we have yelled until we cried. We have soared through the clouds with the feeling nothing can stop us, and we have hit rock bottom thinking there is no recovery. We have held one another when all we want to do is just curl up into a ball and disappear, and we have held each other knowing there is nothing that can stop us! It blows me away to know that God has trusted me with a wonderful wife that loves, challenges, supports, teaches, cheers for, defends, and encourages me no matter what. I am truly bless to have Michelle in my life and I just wanted to take a moment here today to celebrate what God is doing in us and through us. These past thirteen years have been a whirlwind (in a good way), but I am so excited to see what God has in store for us in the future! Here are some pics of us through the years! Thanks for taking a trip down memory lane with me today! Hope you have a wonderful week and I want to encourage you to celebrate the special people God has put in your life!